The Mayor and Council are the key political leaders who set goals, advocate policy decisions, and serve as the promoters and defenders of our community. Through a staggered 4-year term, the Mayor and Council set the priorities and yearly work plan for the departments when approving the annual budget and determining the property tax levy. The Council uses the City Manager and other department staff for research and recommendations to focus on the community’s goals, major projects, and such long-term considerations as community growth, capital improvement plans and financing. All final authority lays within the Mayor and City Council for their action and approval. In 1953, the citizens of Wood River choose to adopt the Council-Manager form of government. Under this type of management, the City Council and City Manager work together for the positive growth and development of our community. 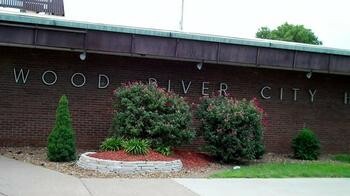 For Wood River the power to determine all policy decisions, development and expenditures is still concentrated in the elected Council, which hires a professional administrator to implement its policies. The City Manager serves at the pleasure of the Council and has the responsibility for preparing the budget and directing the day-to-day operations of the City. The City Manager only makes policy recommendations to the Council, but the Council may or may not adopt them or may modify the recommendations. The City Manager implements or enforces whatever action the Council takes.